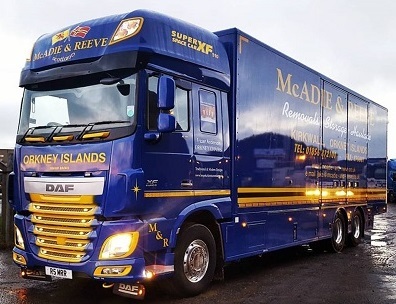 McAdie and Reeve is Orkney's leading removals, storage and distribution specialist. 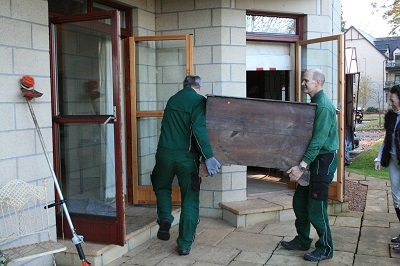 We provide a full removal service throughout the UK. 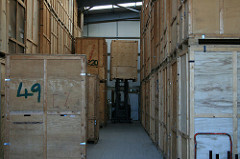 McAdie & Reeve Ltd is a successful Removal and Storage Company which has been established for over 15 years. We provide a local, national and international, door to door service throughout Scotland, England, Europe or indeed anywhere throughout the world. 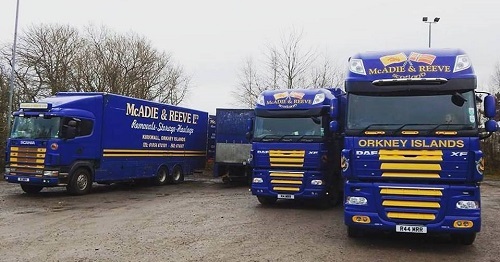 We offer a friendly, professional service with competitive prices and in particular, we specialise in haulage to and from the Orkney Isles. Your consignment will be delivered door to door without being transferred from vehicle to vehicle. No job is too big or too small. Business Freight - Whatever freight transport your business needs, you can be sure we'll arrange everything swiftly and smoothly and at a great value price. So whether this is the first time your business has needed to find shipping services or whether you are looking for a freight company that can become a long term business partner, just get in touch. Should you have any queries regarding the service we provide then please contact us by phone on 01856 872101. If you prefer you can email your service queries via this form. We always appreciate your feedback. Please let us know your experience of McAdie & Reeve Limited by completing the contact form. You can find the contact form here. This site is owned and operated by McAdie & Reeve Limited. All information displayed is © McAdie & Reeve Limited Crowness Road, Hatston Industrial Estate, Kirkwall, Orkney KW15 1RG.